All about Lifestyle | Entertainments | Finance | Banking: Donald Trump Won. Now What? 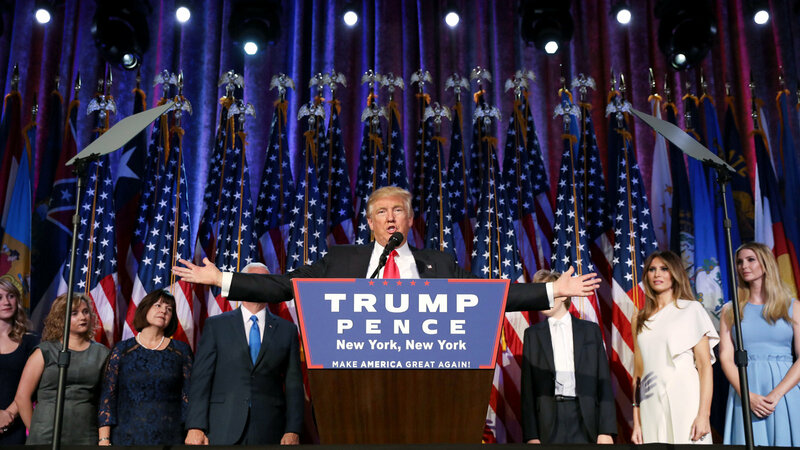 Donald J. Trump’s victory has set the political world on its end. 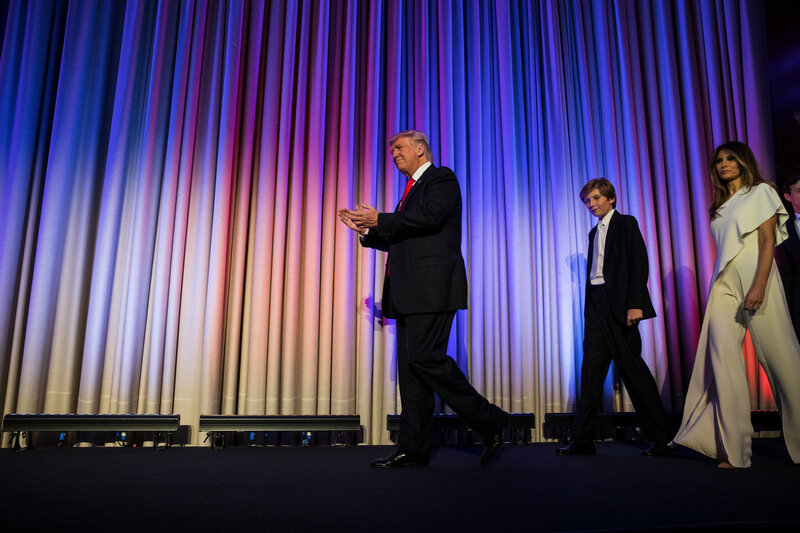 Never has such an untested and unlikely candidate captured the presidency, and no one in modern times has entered the office with his plans for governing so uncertain. Mr. Trump promised vaguely during the campaign that he could act presidential at the right time. That time has finally come, and Mr. Trump must now begin the hard work of assembling an administration and seeking broad political acceptance in a way he never did as a candidate. There is an important ritualistic element to the transfer of presidential power: The outgoing leader acknowledges his successor and invites him to the White House. They confer as peers, if not quite as equals. In January, they appear together on Inauguration Day. A handover from President Obama to Mr. Trump might be different. Mr. Trump has attacked Mr. Obama’s legitimacy as president for years, and Mr. Obama has spent months telling the country that Mr. Trump is too unstable and too bigoted to occupy the White House. With half the country — or more — deeply unsettled by or even fearful of Mr. Trump, Mr. Obama now has unusual influence over how Mr. Trump will be seen upon taking office, both in the United States and abroad. The choices that Mr. Obama makes on Wednesday may be a preview of the final few months of his term. Can Trump Calm the Markets – and the World? The election returns on Tuesday sent stock futures into a dive and drew expressions of consternation from abroad. Mr. Trump campaigned and won as a proud agitator, but he has different responsibilities as the president-elect. Helping to avert international panic is one of them. He managed to summon a more sober demeanor at points during the campaign, including in his victory speech — though never for very long. And even if he is comparatively placid on Wednesday, it is unclear that investors and foreign leaders will take things in stride. Depending on how he handles the day, Mr. Trump may reveal both the range of his abilities as a political communicator and the true intensity of opposition and fear he faces across the globe. Mr. Trump declared overnight that he would work even with people who had opposed him in the campaign, and he pledged to bring the country together. That will be no small task for a politician who fractured one political party and savaged another, and whom most Americans described in polls as biased against women and minorities. Having long boasted of his accommodating personality and skill at salesmanship, Mr. Trump must now put those abilities to work — courting business executives and conservatives who opposed him, calming national security leaders and even seeking out relationships with Democrats. Whether Mr. Trump can win over these constituencies may well determine if he is capable not just of winning, but of governing. How quickly will he pick up the phone? Will the Left Strike Back? The most liberal wing of the Democratic Party was emboldened throughout the 2016 campaign, but it was held in check to some degree by Hillary Clinton’s relative moderation. With Mrs. Clinton defeated, that restraint is likely to disappear, and populist liberals, like Bernie Sanders of Vermont and Elizabeth Warren of Massachusetts, may quickly emerge as the party’s top spokespeople. With Democrats cast out of the White House, it is difficult to predict what course they will take in battling Mr. Trump — whether they will resist him through filibusters and street protests, legislative mechanics or even attempts at compromise. But there is unlikely to be much appetite among Democrats for conciliating Mr. Trump, and — as Republicans found over the last eight years — the loudest and most potent voices in the party are most likely to be those of blunt ideological opposition. What Becomes of the Anti-Trump Right? Dozens of Republican elected officials resisted Mr. Trump’s rise to power, including some who revoked their endorsements in the heat of the general election. Senators like Lindsey Graham of South Carolina and John McCain of Arizona declared Mr. Trump unfit to lead, while ideological conservatives like Ben Sasse of Nebraska and Mike Lee of Utah warned of Mr. Trump’s indifference to the limits of government power. These Trump critics on the right now face a wrenching political choice: to defer to him as the country’s new leader, or to take up a quasi-oppositional role against a Republican as he assembles his administration. Since Republicans kept control of the House and Senate, dissenters within Mr. Trump’s party may hold outsize influence over exactly how he can govern as president. Mr. Graham took a reserved approach in his statement on the election on Tuesday, saying that he would aim to help Mr. Trump govern — within the bounds of a fairly conventional Republican agenda.